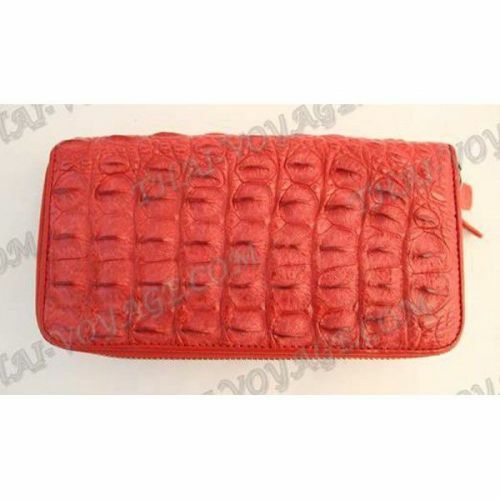 Purse female crocodile leather, side part of the crocodile. Details made of calfskin. Purse with a zipper. Dimensions: 18.5 x 9 cm.